Don’t you hate it when you have to travel back through the crowds to get a drink mid-event? We know. The struggle is real. To this end, we teamed with Fru Fru to help them be a more visible presence at fairs and exhibitions and to have them closer to the people who (desperately) need them. 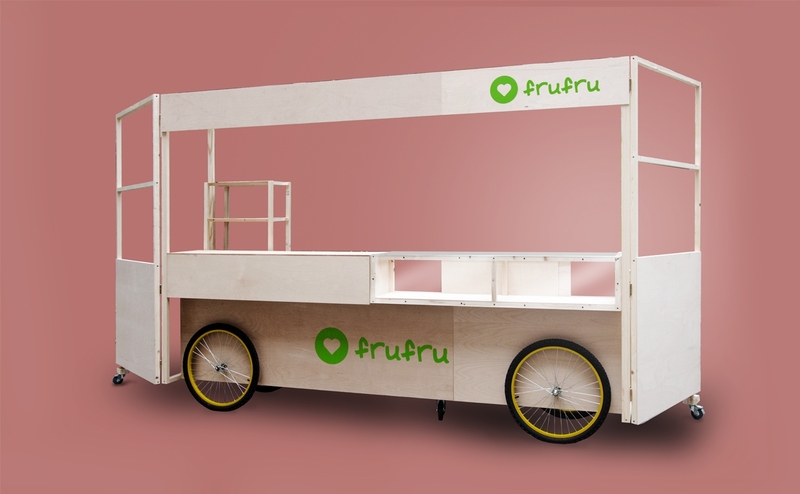 The Fru Fru Mobile is 3 meters long, has 2 doors for ease of access and can be easily disassembled into the 2 fitted pieces it’s made of, in order to transport it in a van. Fru Fru is an organic food&beverage retailer, based in Romania. Their products can be bought in their own shops, in several supermarkets and in Inmedio.